What Does It Mean To Hire a Law Firm to Help Collection a Debt? It has been said that “Cash is King, but to a small business, it’s also the Queen and the entire King’s Court.” When a customer doesn’t pay as promised, expected or contracted, it can represent a serious setback for the business. L4SB can help you in two important ways: First, it can help you collect on a specific debt by brainstorming options with you, writing a demand letter, and filing a lawsuit through one of its litigation partners. 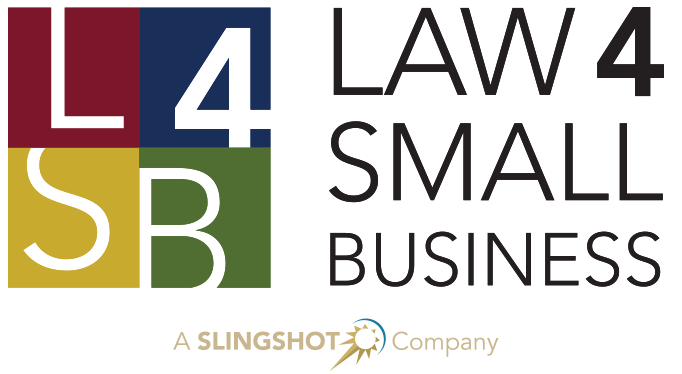 Second, L4SB can strategize with you on your business processes and your client contracts, to help beef up your collections capability and help improve your legal position when you need to take legal action to collect subsequent debts. Going to court is very expensive – often $30,000 or more – so unless the debt you’re trying to collect is more, a lawsuit may not be a cost-effective option. Businesses would be wise to abide by the requirements of the FDCPA, or the local state’s laws that mirror the FDCPA for “original creditors,” to avoid potential causes of action. Requirements include hours of contact, ceasing contact when requested, repeated contact, contact at place of employment, etc. L4SB can help you understand any legal requirements to debt collection, and can help you refine your processes as appropriate (to your particular business and your company’s particular type of customer). The general process L4SB uses to collect a debt is as follows: (1) Issue a letter specifically outlining (with evidence) the debt that is owed and payment terms and requirements, (2) negotiate a settlement and agreement (if appropriate), and (3) if settlement fails, file a lawsuit through one of its litigation partners, if the dollar amounts in question make litigation feasible. If there are options available for paying the debt, those options should be clearly spelled out in the demand letter. The second step oftentimes takes patience and compromise, but in the end, requires an agreement between the disputing parties on the resolution and often a “waiver and release” from future legal action. This second step is very important, because if you fail at reaching a compromise and negotiated settlement, your only other option may be a lawsuit (unless other forms of dispute resolution are available, such as mediation or arbitration). Why Use L4SB to Help Collect a Debt? Flat-Rate Fee for Demand Letter Only. For our flat-rate fee product, the flat-rate fee only covers up to the generation of the relevant documents. Our letters do not guarantee the debt will be collected (or paid). If additional effort is required, our ongoing involvement would be billed on an hourly basis. No Refunds. Once you engage us for this service, we perform a number of activities on your behalf and expend quite a bit of time reviewing documents and information, preparing the letter and answering your questions. Therefore, we will not refund the flat-rate fee for collecting a debt, even if you ultimately decide not to go through with the demand letter. The Flat-Rate Fee Only Covers One Demand Letter. If you want to send additional demand letters, even regarding the same matter, we will charge you the flat-rate fee for each additional demand letter. No Guarantee of Results. We cannot guarantee or even promise any level of success once a demand letter is sent to the other party. Anything can happen, from the other party simply ignoring the letter to hiring an attorney to counter-claim a demand against you. Anything is possible, and we cannot promise or predict results. Will L4SB conduct debt collection on contingency? No. L4SB does not perform contingency-based work. There are many great law firms and attorneys who do, but you will need to ask around for a referral. Most contingency-based attorneys only consider large amounts in controversy (i.e. cases over $100,000). If you would like a referral to such an attorney, please feel free to contact us. I can't collect on a debt. Is my only option an expensive lawsuit? No. You can try a demand letter from an attorney or law firm. You can also look at the contract, if one exists, to see if there are other remedies available for a breach of contract (i.e. not paying is usually considered a breach of contract). Also, depending on the nature of the debt, there may be other remedies available for you. For example, depending on the nature of the debt, you may be entitled to specific court action without a lawsuit. Can I represent myself in a lawsuit to collect a debt? 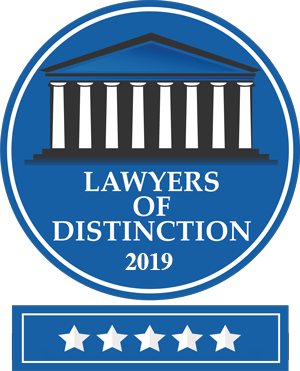 It is not recommended for one to represent him/herself in a lawsuit, and in many instances, a business entity must be represented by an attorney in a court of law. The reason you should not represent yourself in a lawsuit, is that a non-attorney is simply not familiar with the arcane legal and procedural requirements of local, state and federal court. If the other party is represented by counsel, and you are representing yourself, you will be slaughtered (even if the facts support your case). This is because the attorney will be familiar with civil procedure, and will know how to challenge your evidence and your case. Worse, a good attorney will know how to file a counter-claim against you, that will often significantly increase the stakes against you. An exception to this is “small claims court,” where amounts in controversy of less than $10,000 may be heard and it is easier to represent yourself because these courts have been specifically created for small claims and pro se representation (i.e. representing oneself). When should I hire L4SB to help me collect a debt? Only after (1) you have attempted to collect the debt yourself, (2) you have exhausted all options available to you (short of violence, harmful, tortuous or illegal acts), and (3) you no longer care about preserving the relationship with the other party. The third item is important: No one likes receiving a legal demand letter from an attorney or law firm, and you will forever and irrevocably ruin the relationship. Small business owners should think twice before getting a lawyer involved with its important customers, vendors or partners. Note, however, that seeking legal advice on the proper interpretation of a contract or otherwise discussing your legal options is a great option for the wise business owner. Hire L4SB to Help Collect a Debt Now!